Every Massachusetts real estate deal is unique, and each involves nuanced and complex documents and processes. Multiple parties are involved in a single arrangement, and each is looking out for its own best interest. The law firm of Pulgini & Norton offers skilled representation in a broad range of property transactions. Our attorneys have over 40 years of combined practice in the law. We offer thorough and results-oriented legal guidance to buyers, sellers, and lenders in a wide range of real estate matters. Contact a Boston real estate lawyer at Pulgini & Norton to discuss your questions or concerns. Buying or selling a piece of real estate is one of the most significant transactions you can make. Whether you are buying your first home or already own a home, you will benefit tremendously from understanding the critical provisions of the various documents involved in its purchase and sale, including the offer to purchase, the purchase and sale agreement, and the mortgage and note. These documents contain obligations that are crucial to the consummation, or closing, of the transaction. For example, the purchase and sale agreement may include a mortgage contingency rider that requires you to seek financing from a certain number of lenders to secure a mortgage. Our attorneys can advise you on how these agreements affect you, and we can draft or negotiate provisions and deadlines that work in your favor. Purchasing a condominium in Massachusetts is much like buying a house. However, there are some crucial distinctions that could limit your use of the property and your ability to sell it later. For example, the documents may include a right of first refusal, which means that the condominium association would first need to waive its right to purchase the unit before the owner can sell it to someone else. Since these homes are part of a larger planned community, you will also need to understand the rules that govern the condominium association. The owner of a multi-family home can also convert this property to a condominium. These types of residences are governed by the statutory provisions in the Massachusetts Condominium Act. 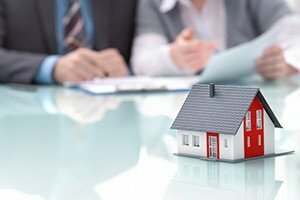 A property owner must be careful to submit the property to the process laid out in the Act, which includes recording a master deed and preparing bylaws. At Pulgini & Norton, we can draft the necessary legal documents and work in coordination with other professionals to facilitate a condo conversion. Mortgage documents contain legal provisions that can have a long-lasting impact on your ability to keep your home. A lender will usually provide a general overview of the financial aspects of this arrangement, but it may not take the trouble to fully explain your legal obligations. For instance, the lender may require that you make certain representations about your financial situation before it commits to giving you a mortgage. This could affect your ability to close on the purchase of a home if you are unable to meet the lender’s requirements. Once you become a homeowner, you may need to refinance your mortgage for a variety of reasons. You may want to reduce the amount of your monthly payment, change your adjustable rate to a fixed rate, or make improvements on your home. We can effectively manage the refinancing process, including the loan application and any issues that may arise related to title. If you want to build an addition to your home or build on a vacant lot, Massachusetts requires that you comply with local property restrictions. Municipalities throughout the Boston area have implemented different zoning and land use requirements. Many homeowners will need to get permission from the town where they live before they begin construction on their property. Our attorneys can work with you to obtain a zoning variance, special permit, easement, or other deviation to help you move forward with your plans. At Pulgini & Norton, we offer detail-oriented and client-centered representation. Our real estate attorneys help Boston residents and others draft agreements and negotiate provisions with your needs and goals in mind. We will work to overcome hurdles and protect your interests while aiming toward a timely closing or resolution of your matter. Our property transactions attorneys represent people in Brookline, Lowell, and Malden, among other Massachusetts communities. Call us today at 781-843-2200 or contact us online for a consultation.